This looks great in my daughter's room. It's very beautiful and matches well with the paint color and décor in her room. It was so easy to put up since it came with its own hardware. Made in Canada light grey plastic door mirror. Mirror can be hanged both horizontally and vertically. Ready to hang comes with 3 hooks with no assembly required. It can be hanged both horizontally and vertically. 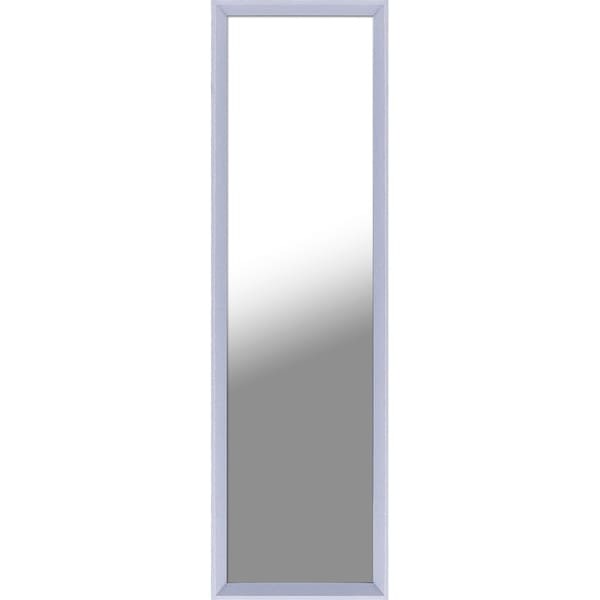 This mirror is a beautiful contemporary piece perfect for your home. Inner mirror size 12X48. Brought to you by Hobbitholeco. This mirror can be hanged both horizontally and vertically. Dimensions 50.0 In. X 14.0 In. X 2.0 In. "What is the best way to mount full length mirrors on the outside of closet doors . I have six doors to do thanks, Diane"
The best way is to get Hanging Brackets that can go over the door. The brackets should be able to screw into the back of the frame. But you will need to find the brackets.